Valor is a fine and dense, light fawn male in the multiple top EPDs. He is a very large male (185 lbs) who possesses heavy bone, sturdy frame, typey head and luxurious fleece. Excellent genetics come from Eastwind's Snowstorm and Xanadu P. Aria. His fleece, size and sweet disposition make him a great candidate to enhance to your herd. Valor's show record continues to improve with age including blue ribbons and a color championship. 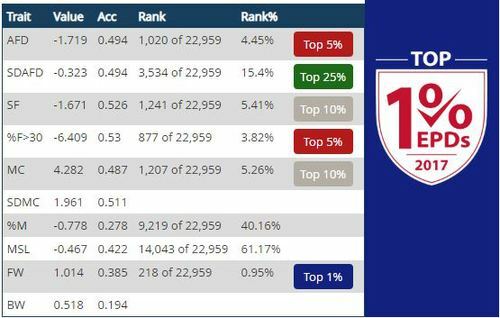 We expect Valor to have a long line of award winning progeny. Valor has offspring that range from white to bay black. 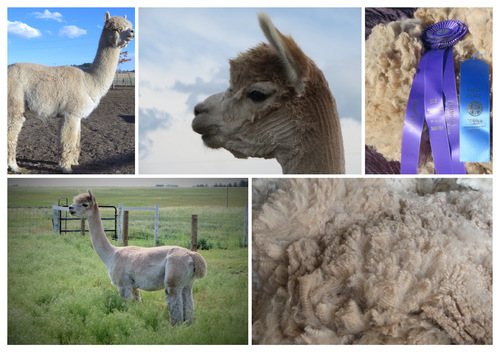 All have incredible fleece that offer fineness, density, high fleece weights and butter handle. 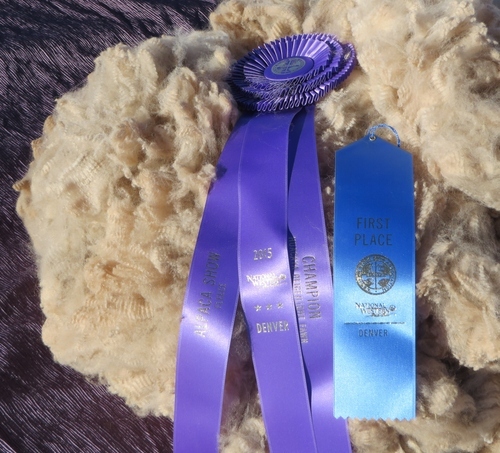 Many of his offspring are winning blue and purple ribbons in the show ring. 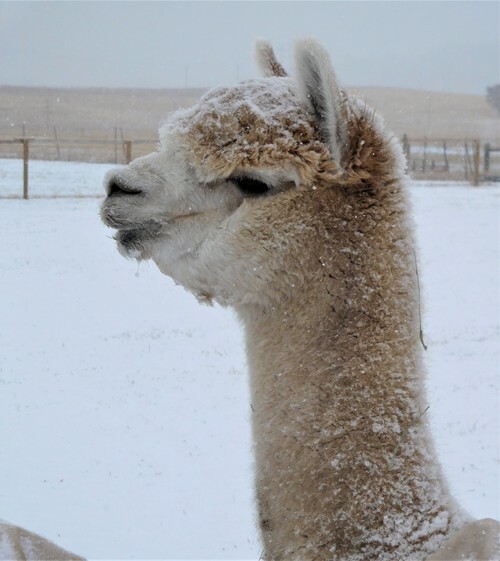 Valor is truly the reason we turned our corporate lives upside down and started "the alpaca life". It was love at first sight. 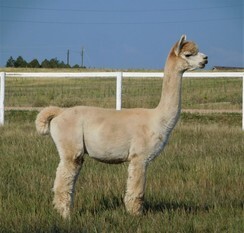 Valor was one of the first alpacas we purchased and it snowballed from there. We credit a lot of our happiness and our farm's success to this beautiful boy. We hope you will consider Valor and what he can do for your herd. Please do not hesitate to request more information or a fleece samples. Schedule a farm visit and get a smooch from Valor! Discounts are available for multiple breedings for Valor or combined with Skyfall and/or Lakota. Awesome Fiber Male - Sheared 7.9 lbs!